The season of durian and rambutan has passed. Both have vanished in the market. If there is any, the price soars very high. Now, the market changes its appearance with the flood of mangosteen. Natural law occurs, excessive supply of commodities will reduce prices. Vice versa. The same thing applies in trading practices. 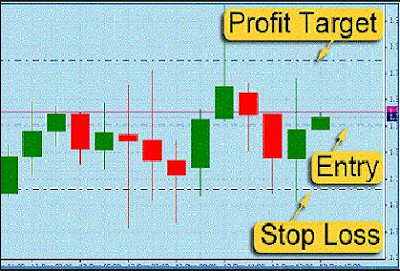 So what is meant by the commodity breakdown strategy on trading binary options? Commodity supply affects prices. But there are times when natural law does not go in harmony. That is, there are times when commodity prices remain high despite the changing seasons. That is what applies in the commodity breakdown strategy. Yes, the commodity braekdown strategy starts with a long-term view of a commodity. Similarly, when we play in the stock asset class or stock index, fundamental information is equally important when we play in the commodity asset class. We can start by looking at asset prices in the size of the measurement unit in general. Take for example oil, gold, wheat, or other commodities with a fair price range in the market today. The next step, we must look at the current level of supply and demand and information on production and supply. When the supply of oil or other commodities is expected to fall, the demand for a commodity becomes very heavy. There was a scarcity of commodities which triggered a rise in prices. Sometimes the increase can be very dramatic, even extreme. This is what traders must observe, the prospect of commodity prices in the future. Of course not all commodities are a favorite commodity in binary options trading activities. And not all brokers provide various commodities from major commodities to minor commodities. Very possible, the analysis scenario and the strategies applied to each commodity are very different from each other. However, it can be the same. Many brokers only provide main commodities on their platforms such as oil, gold and wheat. Because the price tends to be stable quickly on commodities that enter the class or main commodity category. This is very different from commodities with a more limited market niche with a level of demand and supply that is more difficult to predict. Automatic, how quickly price changes become more uncertain. Binary options trading activities are trading activities with a very short average time span. Certainly it is not ideal to play in the commodity asset class with the prospect of a very uncertain price in the future. Moreover, with a very limited market niche.